Construction of the Russian-built nuclear reactor in Iran is finished, and will now be tested before generating power. Officials say it is too early to speak about the launch, however. Simulators of fuel assemblies have been loaded into the reactor on Wednesday. “The Bushehr plant has entered the operational phase, and I can say political concerns surrounding it have certainly been removed,” Gholam Reza Aghazadehsaid. The date when the Bushehr reactor will be launched depends on the adjustment and testing process, said Sergey Kirienko, the head of Russia’s state nuclear corporation Rosatom. Russia and Iran are planning to strike a deal on nuclear fuel supply for at least ten years, Kirienko added, and the talks on establishing a joint Bushehr reactor exploitation company have started. Kirienko says the main question is how the integrated equipment installed by the previous general contractor 30 years ago will now ‘behave’. “It is important that the tempo of work does not decrease. We are at the final stage but it is too early to get relaxed,” Kirienko said and added that safety and accuracy is the top priority. In accordance with the contract, during the first year after the reactor is launched, it will be exploited by the Russian staff. Kirienko said that preparing the staff for the nuclear reactor is a job no less important than the launch itself. Meanwhile, Iran's nuclear chief says the country has increased the number of centrifuges enriching uranium to 6000, the Associated Press reports. Vice President for Atomic Energy Gholam Reza Aghazadeh has also said Iran will continue to install more centrifuges and enrich uranium to produce nuclear fuel for future Iranian power plants. The Bushehr nuclear power plant that cost some one billion dollars, is part of Iran's nuclear programme, which Tehran says is to provide electricity to its 70 million people, but the West views with it suspicion. “It’s a big step forward. The Iranian people are grateful for Russia’s assistance. It helped Iran at the time when many refused,” recalls political analyst Hussein Rubuan. However the U.S., several European countries and Israel have long doubted its peaceful intentions, questioning why the world's fourth largest oil producer would be facing energy shortages. They suspect Tehran is seeking to develop its own nuclear weapon. The IAEA has recently fueled these fears. 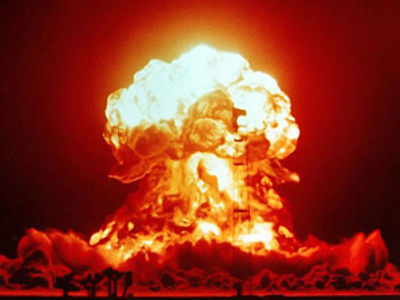 The UN's nuclear watchdog reported Iran has now enriched enough uranium to make a bomb. France has urged Iran to stop uranium enrichment after the test run of the Bushehr nuclear reactor. And Israel’s Foreign Ministry has labeled as “bad news” that final adjustments are underway at the Bushehr nuclear power plant. “The Iranians have not concealed their intentions for acquiring nuclear weapons. The international community should take immediate and very determined steps in order to prevent Iran from becoming a nuclear power,” Israeli Foreign Ministry spokesperson Yigal Palmor said. Meanwhile, Russia has always stressed it opposes nuclear weapons proliferation, and emphasised the Bushehr plant has nothing to do with atomic bombs. “Russia’s position is that any country has a right to benefit from the peaceful use of nuclear power. It definitely has to be done under the control of the IAEA. It has to meet all the requirements of non-proliferation guarantees. The construction of the nuclear plant at Bushehr fully meets these requirements,” Sergey Kirienko said. “Russia is supplying fuel for the station and it will be also collecting the nuclear waste. This very fuel could be used for the extraction of plutonium which is required for making nuclear weapons. But this process will be monitored by the IAEA which brings Iran's chances of using waste from this station for the production of a nuclear weapon close to nil,” explains Vladimir Sazhin from Institute of East studies. Few countries in the world openly do business with Iran, but Russia does and that is something that has never gone down well in the West. “By the 1990s Russia’s atomic industry was almost non-existent. The Iranian proposal was a lifeline. But no one wanted to see neither Russia’s development nor its success at international levels,” remembers Sazhin. Analysts say the long awaited start-up of the Bushehr plant is a political and commercial victory for both Moscow and Tehran. “When China, Indonesia and Vietnam saw that Russia is a reliable partner, they started making cooperation agreements with Moscow in the area of peaceful use of nuclear power. The U.S. was looking for the forced closure of a nuclear program in one country, in Iran, which could allow them, in the future, to reconsider the Nuclear Non-proliferation Treaty. The amendments they are pushing for are very disadvantageous for both Russia and Iran,” concludes Aleksey Fenenko from the World Energy Security Issues Institute, Moscow. Moscow and Tehran signed a deal on the construction of the Bushehr plant back in 1995, but Iran’s nuclear development started long before. “In the 1970s the Shah invited some Western companies to build a nuclear plant in Iran. He said the atomic industry can enrich the country and other oil-based monarchies of the Persian Gulf. But the 1979 Islamic revolution and then the Iran-Iraq war haltered the project,” says Aleksey Fenenko. 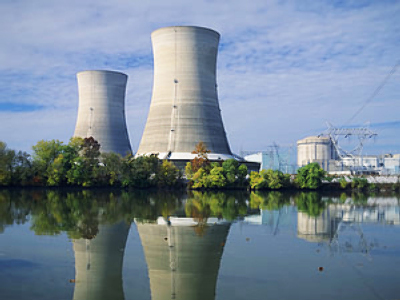 The atomic idea first floated in the seventies has finally become a reality 30 years later. ‘Enriched’ Iran to become a nuclear state?